Hate is one of the more powerful forces in the universe, but for all the wrong reasons and in all the wrong directions. Hate doesn't build. Hate doesn't lead to growth. 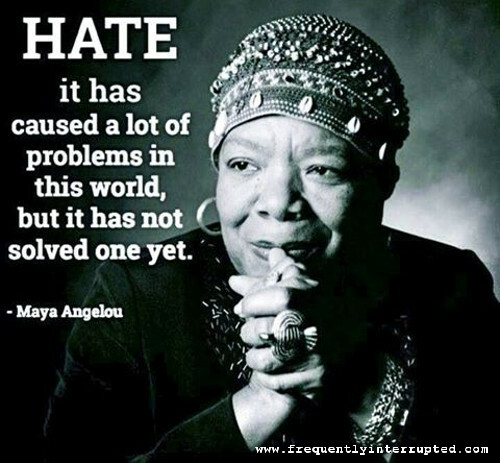 Hate doesn't make things better. Like all powerful forces, hate can do many things, but they all lead to ruin, and ruin of self most of all. It's a poison that destroys all it touches, and should always be avoided.